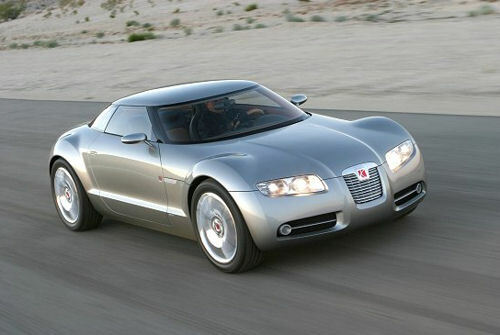 General Motors introduced the Saturn Curve concept coupe at the North American International Auto Show in January of 2004. It was one of the vehicles, including the Pontiac Solstice production model and Chevrolet Nomad concept, built on GM's new rear-wheel-drive Kappa architecture. 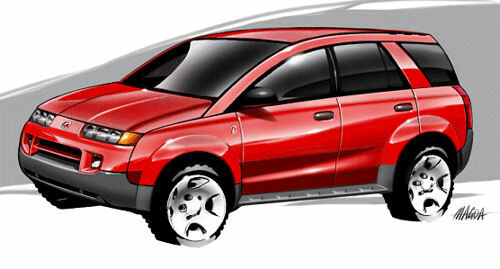 In January 2008, Saturn announced that the Vue would be the recipient of an innovative two-mode, plug-in powertrain in 2011. This would have allowed the Vue to generate an average fuel economy of 35mpg. 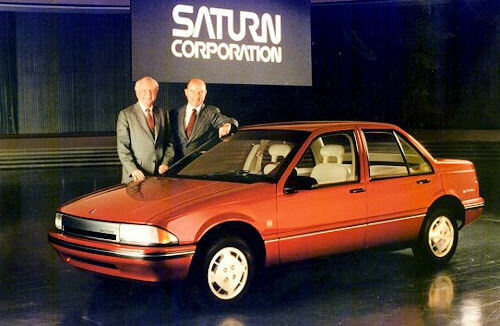 After deciding to sell Saturn, however, GM robbed Saturn of this technology and announced it would instead debut it in one of GM's four core brands. Opel will unveil its version of the revolutionary Chevrolet Volt at the 2009 Geneva Motor Show in March. The extended-range electric vehicle, which Opel will call the Ampera, will be a five-door, four-seat model that shares styling cues with both the Volt and last year's popular Flextreme concept. 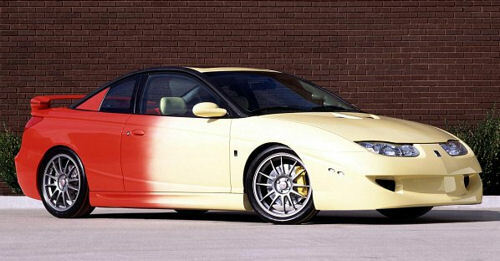 This Saturn concept was featured at the 2003 SEMA Show and was designed to showcase the high performance potential that could be achieved from the Vue Red Line. The "Street Play" Vue went wild with performance and appearance items which showcased the Vue's aptitude for performance. This Saturn concept was designed to showcase the potential flexibility and utility that can be achieved from the compact Vue sport-ute.